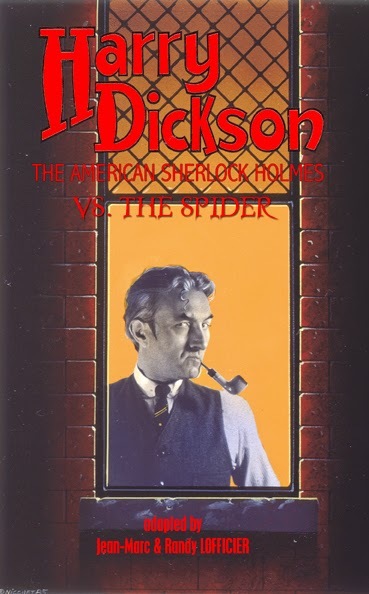 This anthology from Black Coat Press contains two of the original Harry Dickson stories, six stories that previously appeared in volumes of Tales of the Shadowmen, and ten stories that are either new or appear for the first time in English. Looking at the credits in the back of the book, at least nine of the new stories have crossovers, and therefore I will write them up. I've already read and written entries for the first two new stories. Among the characters appearing in the new tales are Sexton Blake, Indiana Jones, Abraham Van Helsing and Mina Harker, the Wizard of Oz, and Tarzan. Is the Indiana Jones appearance just an easter egg or cameo, or is he actually a significant character in the story? He's a central character in the story. It's called "The Mark of the Red Leech," and is set during World War I, in 1914. Wow, I'll have to get that story for myself, then, to add to my Indy timeline (since I'm not including easter eggs): http://www.dinojim.com/Cultural/ChronologyHaven/Indiana_Jones.html.